� A new edition of the title collecting the 3-issue 1987 miniseries! � Oliver Queen gives up his trick arrows and settles down in Seattle with Dinah Lance. 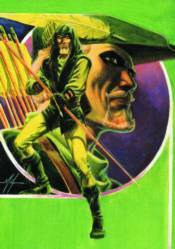 But Ollie's world collides with one of unspeakable violence involving the beautiful and mysterious archer known as Shado.